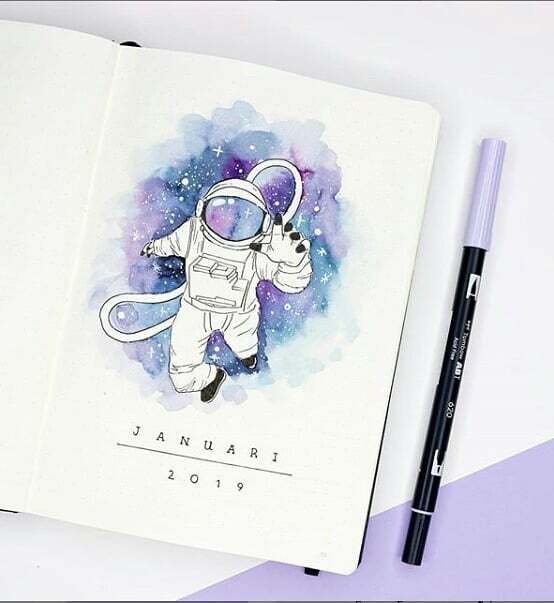 Need some out of this world inspiration for your next bullet journal spread? 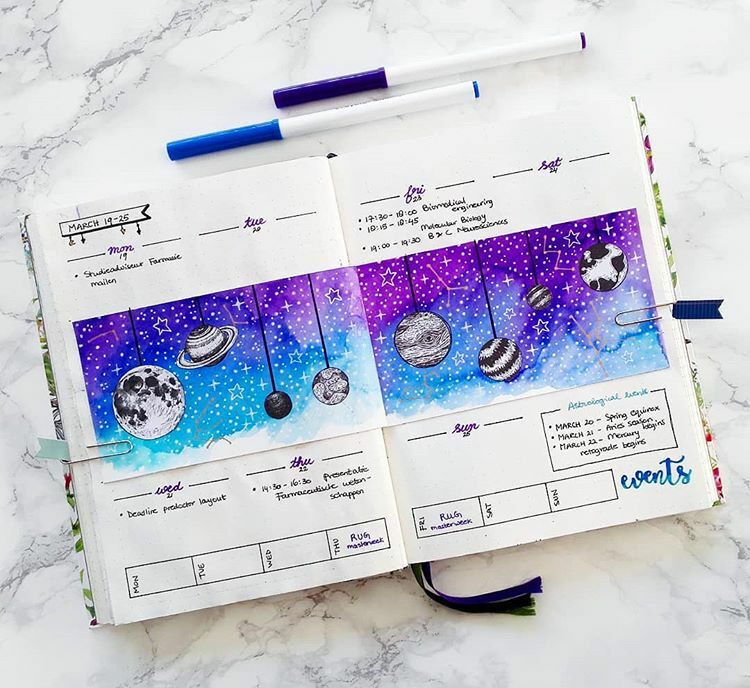 Here are 12 Space and Galaxy Themed Bullet Journal Spreads that are sure to wow you. 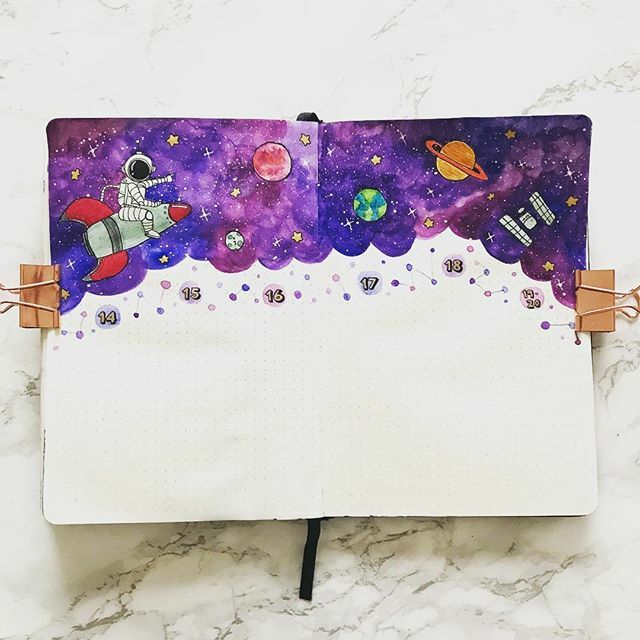 As a child, I had a fascination with Galaxies and Space. 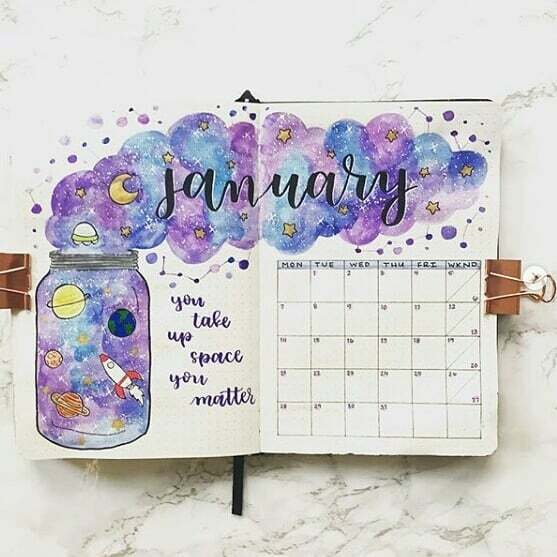 Just the concept of space is incredible. How can it be so big?! Our minds can’t even process that properly. 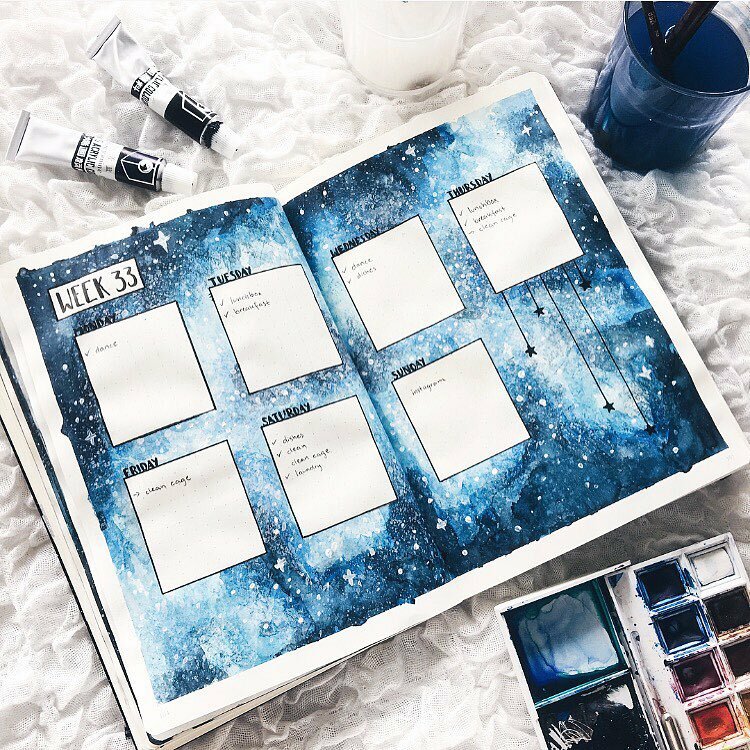 Did you know, a small galaxy is one that has less than a billion stars. A Billion. How many stars does a medium galaxy then have? It’s just so… vast. 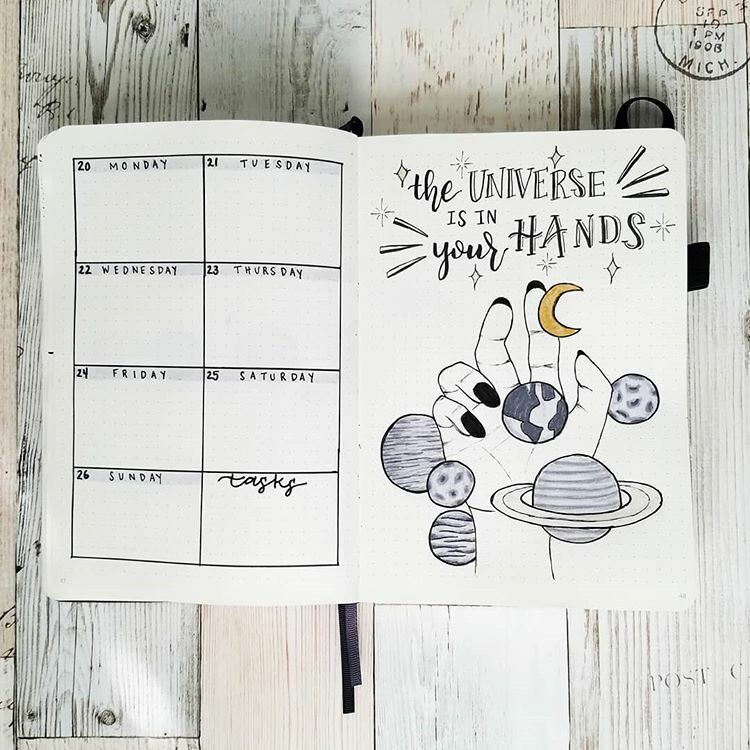 Astronomers now estimate that there are 100 billion galaxies in the observable universe. Supermassive black holes are believed to sit at the center of most galaxies. If galaxies were shrunk to the size of apples, neighboring galaxies would only be a few meters apart. The relative proximity of galaxies means that galaxies occasionally merge. 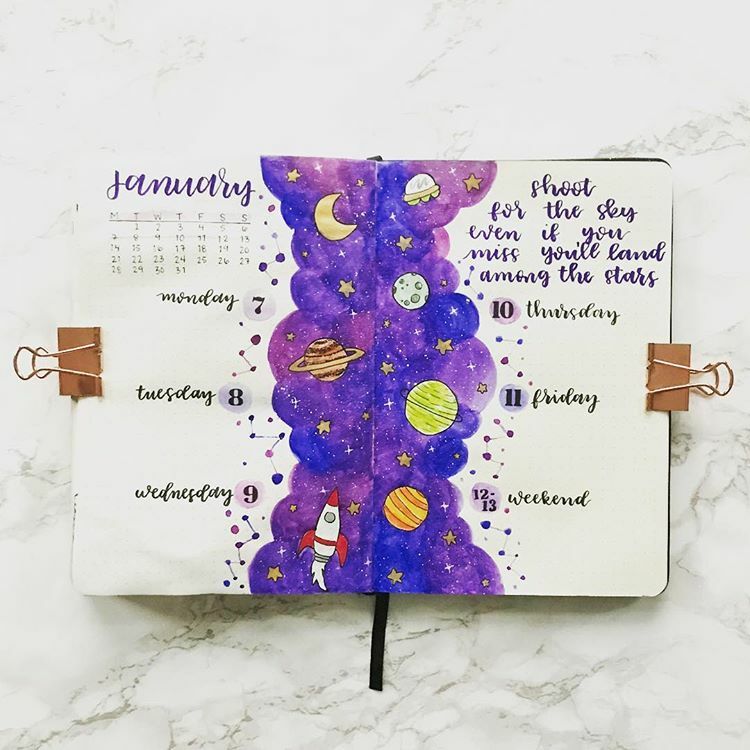 Isn’t that just awe-inspiring?! Just humbles you to know how tiny we really are. 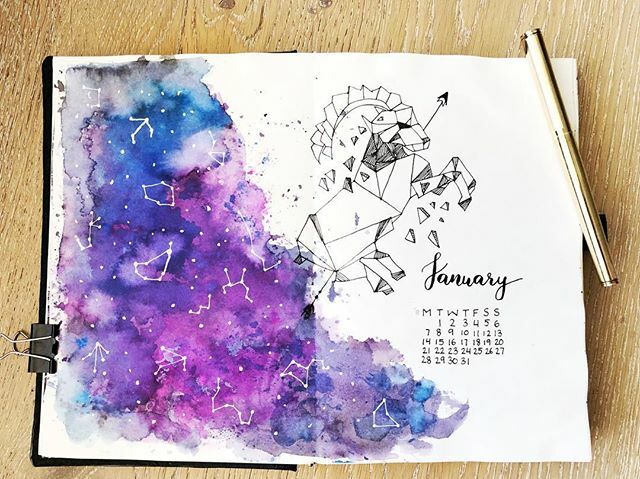 Now, when creating these beautiful spreads you’ll need….. 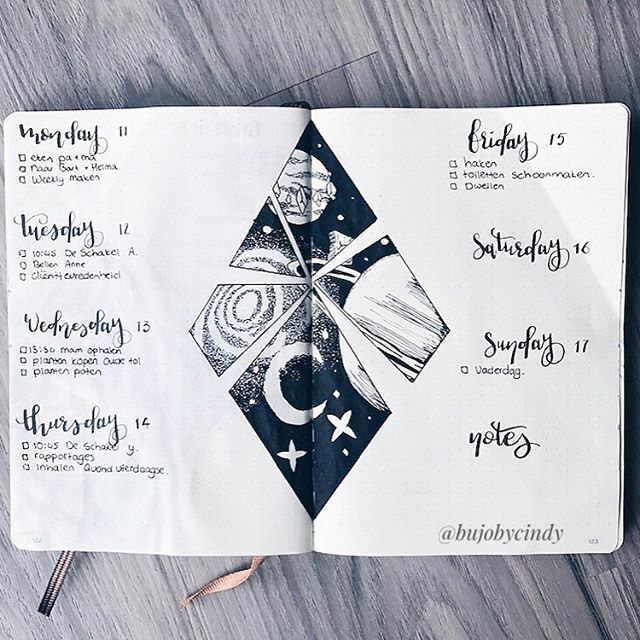 Similar Post: What is Bullet Journaling and How Do I Start? This is a good way to get your toe wet. 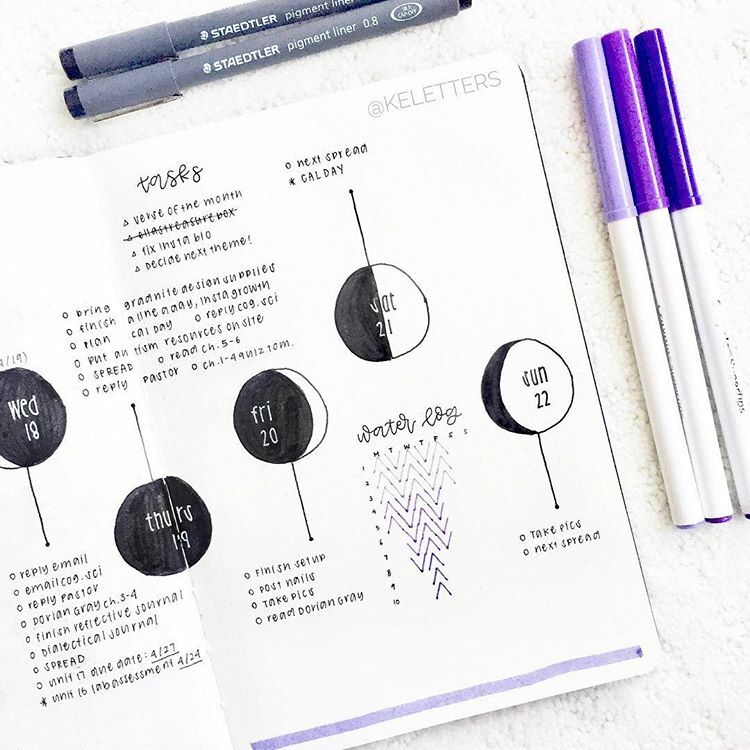 If the idea of drawing up intricate galaxies and constellations intimidates you in any way, just start simple with the phases of the moon in your dailies. 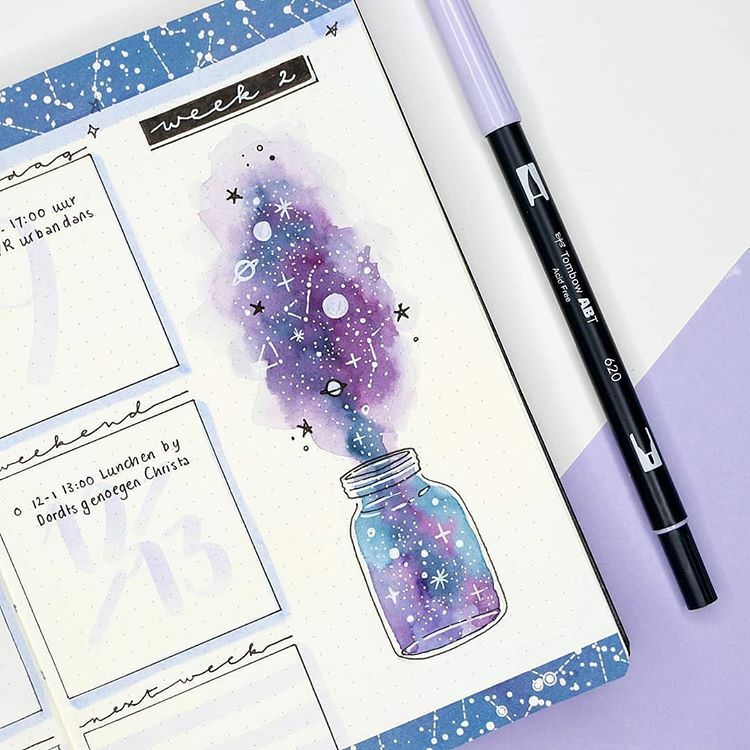 Use this Tombow Lilac Pen to get this awesome effect in your own bullet journal. You can invest in the full set, but I like to buy them individually depending on my needs. 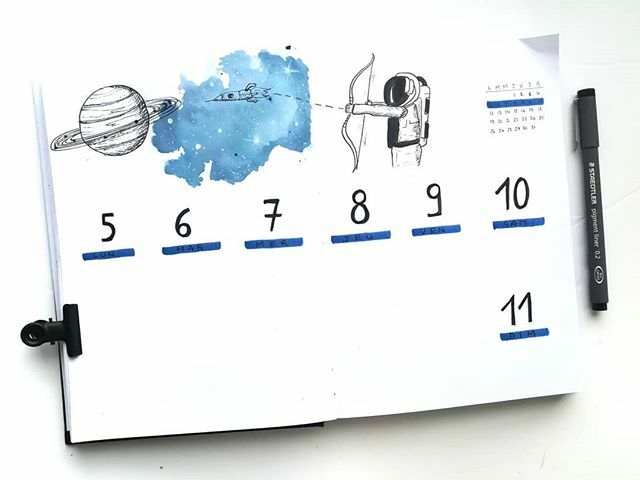 The best thing about these type of spreads is you don’t need much, just a simple micron pen and you can doodle on the go.